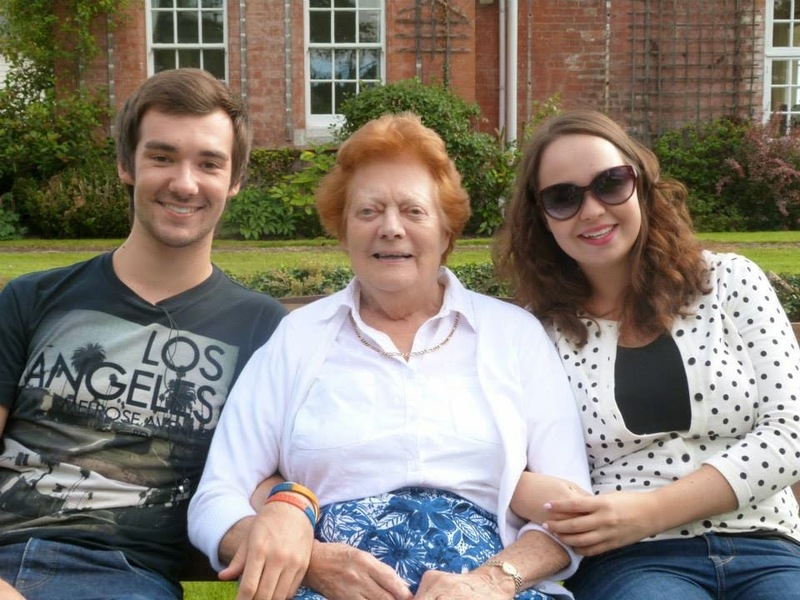 This week is Dementia Awareness week and so I decided to share something a little more personal than usual. 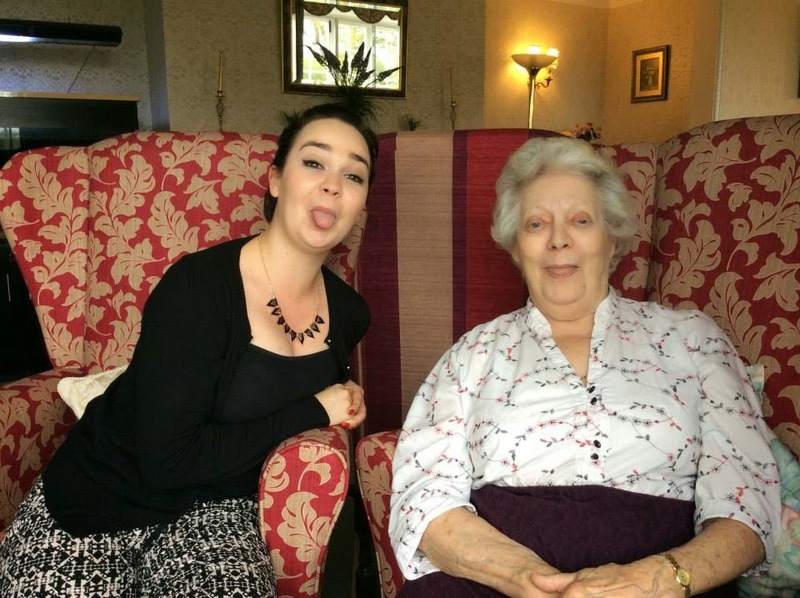 I am a social work student and therefore I come across a lot of people with dementia and often work closely with their family and relatives however for me dementia has hit closer to home. About 5 or 6 years ago my Nana was diagnosed with Alzheimer's disease which if you don't know is a form of dementia or a deterioration of the brain. Most people associate alzheimer's disease or dementia with memory loss which is one of the big effects it can have, people do begin to lose their short term memory but dementia is so much more than that. Dementia is a disease of the brain and therefore it can effect everything - your speech, the way you behave, your thoughts and feelings and so much more. Me and my Nana have always been incredibly close, she would often tell me when I was little how special I was to her and how much she loved me because she had been there when I was born (on the bathroom floor, delivered by my Dad who is a doctor thank goodness - sorry Mum!). She was the third one to hold me and I believe the third one after my Mum and Dad to love me the most. We had and still have a beautifully close relationship and I love her very much. She has always been a fun person, as a family we have countless stories of the hilarious things she would say and do. I have amazing memories of jumping up and down on the bed age 7 in a hotel dancing to "Hey Baby" on TV, of watching James Bond with Sean Connery eating malteasers and of spending every summer at Nana's house in Malvern running around the Malvern hills and eating Nana's chocolate cake. But as the Alzeihmer's developed she began to change, she began to become more and more frightened by the fact she couldn't remember things and her brain wasn't working the way it used to and she would become angry. At first we didn't notice the changes as they started very gradually and as she was getting older we thought she was just becoming forgetful in her old age but soon we began to realise it was more than that. Worrying things would happen like my Nana crashed her car a couple of times and more than once she was found wandering around not knowing where she was luckily by our close friend. My Mum had always been the one looking after my Nana as she lived the closest but as things got worse my Mum had to take care of my Nana a lot more. Now I have grown up and I am a social worker I can see just how difficult my Mum's job was she was acting as my Nana's full time carer, social worker and daughter all rolled into one. After having a diagnoses of Alzeihmer's disease from the doctor it made it a little easier as Nana could be given treatment and help from social services it made such a difference to my Mum that she wasn't just doing it on her own although she still did a lot of the work. Eventually we realised Nana couldn't live on her own any longer, she had to have 24 hour care and so we decided a care home would be best and Mum found an amazing one in the village where she lived for most of her life before my Grandpa died. That was one of the best things my Mum could have done I think for my Nana, once she was looked after 24/7 all her fear went away and she felt safe again causing her to lose her anger completely. It was very strange how the Alzeihmer's worked it was almost as if the 10 years she'd lived in a retirement flat just a mile down the road from us had completely disappeared from her memory. But she could remember exactly where she used to work and that the post office in the village used to be in a different place and the names of the owners of the shops. My Nana's Alzeihmer's has now progressed so much so that she can't hold a conversation properly and I'm not sure she knows who I am exactly. I think she realises that I am related to her I just don't think she knows how. It is extremely hard sometimes and I often miss not being able to tell my Nana things like how I am doing at University or about my boyfriend and I know that when I get married she won't be able to come or even understand what is happening. But I still get to see my Nana, I still get to have cuddles from her and laugh with her and spend time with her even if sometimes she forgets who I am it is still precious time to me. People think that once you have dementia that is it but since the diagnosis although things have changed we've still been able to have fun. The Alzeihmer's has caused my Nana to be a lot ruder and very silly which can be hilarious and she still enjoys all the things she used to like singing, dancing and eating cake. We have all had to adapt to Nana's condition but it hasn't stopped us from having fun with her or loving her just as much as we used to. And I know that deep down inside she still loves me just as much as she always has even if she forgets for a little while. 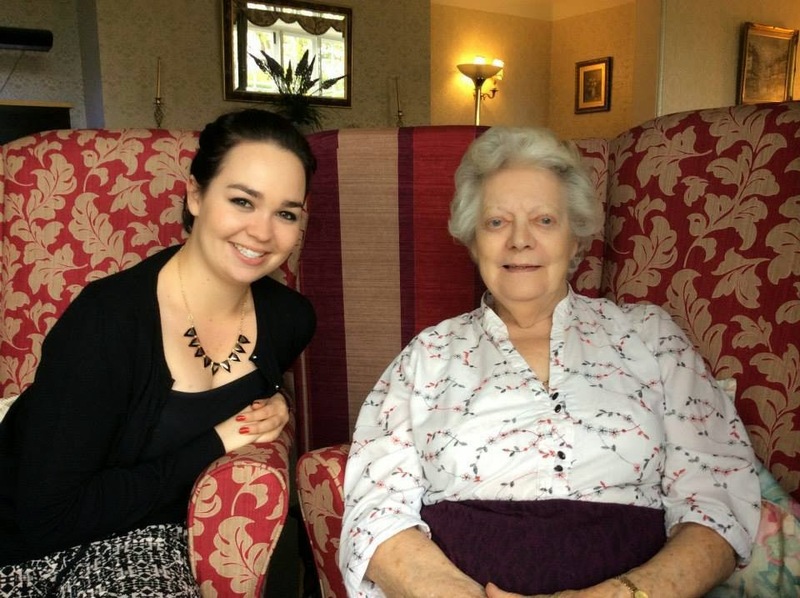 I wanted to share my own story to help to raise awareness for dementia during dementia awareness week and to offer my support to those of you with family member's going through the same thing. I know it can be scary and I know its often very difficult but you're not alone in this. There are so many people out there to help such as Dementia Friends and the Alzeihmer's Society and if you feel you need help and support please contact them or your doctor. And believe me when I say life doesn't stop when dementia begins it just takes a different path.